Protein- Are you getting what you need? When I decided to become a vegetarian when I was 15 years old, the most common question people would ask me was….how will you get enough protein? While vegetarians (especially the carb-loving kind) do have to be more aware than their meat-eating counter parts, for the most part, most people in America are getting more than enough protein without even trying. That said, if you are vegan or vegetarian, an intense athlete, recovering from surgery or at a time in your life (adolescence, pregnancy, older than 65 years old) with increased needs, then you do want to be more mindful that you get your required amount daily. Additionally if you have diabetes or kidney issues you may have to limit your protein- your MD would tell you if this was the case. 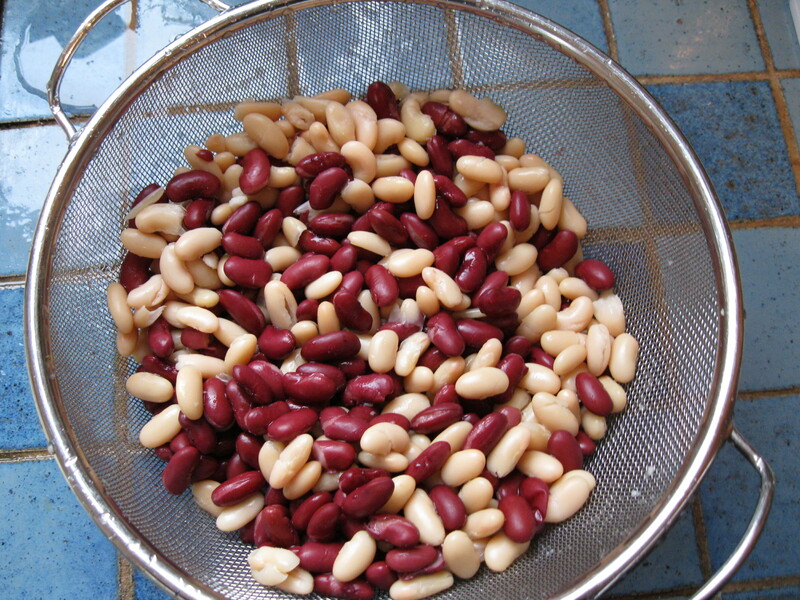 Protein is needed for growth and repair in the body. It is the main component of muscles and is used within cells for a variety of functions including structure. These “building blocks” of protein are continuously being made up of “Essential” (which must be consumed from the diet) and “Non-Essential”(your body can produce them) Amino Acids. When people are concerned about vegheads or vegans not getting enough protein it is because most plant based proteins (soy is an exception) are considered “Incomplete” as they do not contain all of the essential amino acids and a person must eat several “complimentary” proteins together to get a full amino acid set. A classic example of complimentary proteins are beans and rice and we now know that you don’t even need to eat the “missing” amino acid sources at the same meal to be complimentary as long as you get ingest them within a 24 hour period. If you are vegan you can meet your needs easily by consuming a variety of soy or legumes, whole grains and veggies daily. If you are eating dairy you don’t have to worry about this since dairy is a complete protein. Animal based proteins (meats, poultry, fish, dairy etc) are considered “complete” protein because they contain all of the essential amino acids. In general you should aim for 10-35% of your total daily calories to come from protein. For Pregnancy add + 10-25 more grams to the below depending on your age and health condition. Again, be aware that some people have protein restrictions and should not adhere to this guideline but rather work with their MD and RD to figure out their needs. 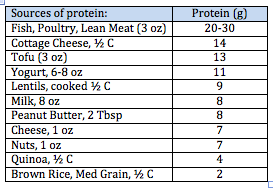 If you are eating meat at each meal (and most people eat more than 3 oz at a serving) you may be getting TOO much protein! 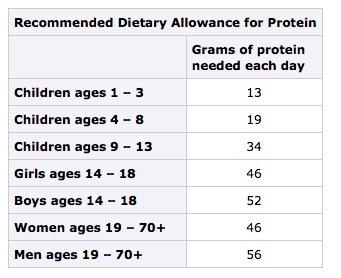 Try adding up your protein grams one day (using a online food tracker, food labels or the USDA food composition database listed in sources below) and make sure you are on track with your protein intake (too much is not better). 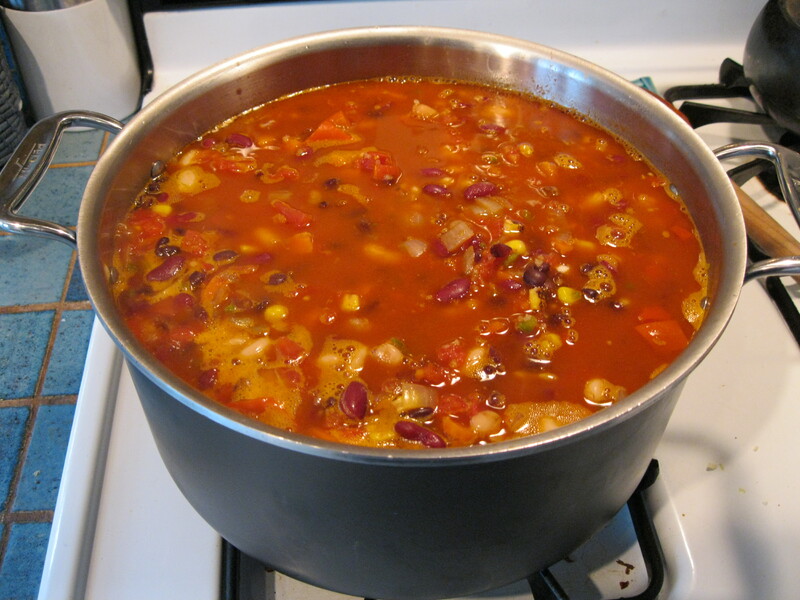 The key here for ALL eaters is variety of copious amounts of vegetables, whole grains, legumes and other lean proteins daily. We all love a routine but don’t get stuck in a rut and try a new source of protein today or this week! Here is an great easy way to get some Omega-3’s in your day. Trader Joe’s sells wild pink salmon in the can inexpensively so make it a pantry staple and whip up this salad for lunch or dinner when you are short on time. Place the salmon in a small bowl and use a fork to break it up. 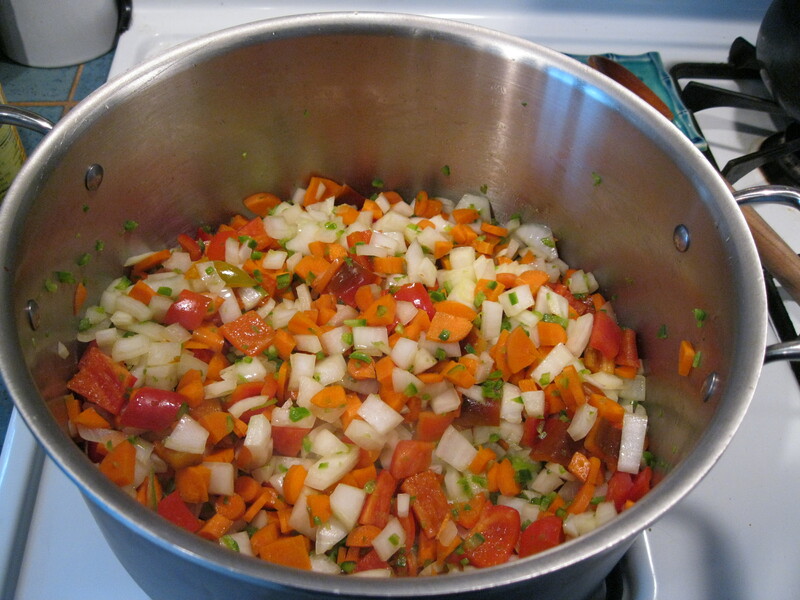 Add the ginger, lime juice, scallions, salt and sesame oil. Mix well and taste (does it need more lime? Salt?). Serve on top of salad greens, in a whole grain wrap with more veggies or with whole grain crackers.